Water-resistant vs Waterproof. What is the Difference? What IP Rating does your device really need? We recommending the Apple Watch Series 4 as the best waterproof smartwatch for iPhone, but there are also great alternatives for people with an Android device. For us who don ´t want to waste a lot of money, Ticwatch E is a fantastic option. It is not a just great device for its price, but it can also without problems compete with far more expensive smartwatches. 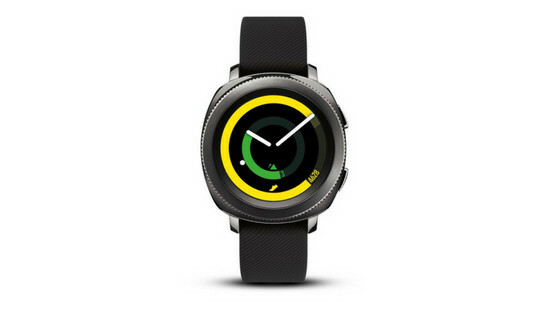 Other options to consider are Samsung Gear Sport, Vivoactive 3 Music. 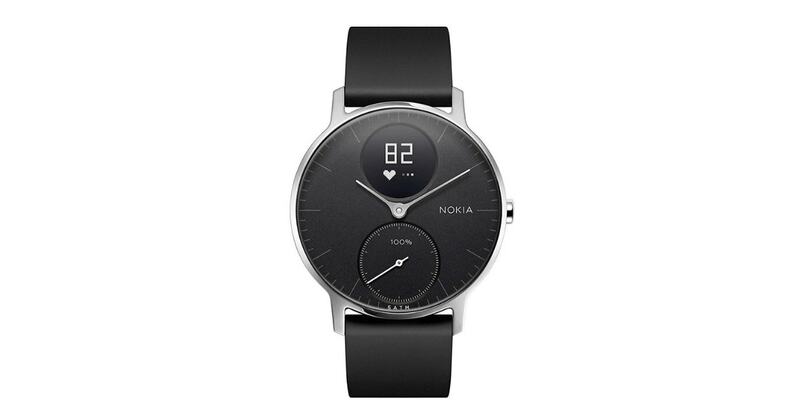 or awesome looking hybrid Nokia Steel HR. Of all the waterproof smartwatches available in 2019, do you know which model is the best? An attractive, technologically advanced smartwatch that beats its competitors for this year. It doesn’t matter what smartwatch with a waterproof ability you are looking for, in this guide we will help you find the right one. Many companies declaring their wearables as waterproof, but most of them have just the Ingress Protection rating of IP68. These products have been tested in shallow water for a short time. In real life, you shouldn’t wear these models to water, and definitely not swim with them. IP68-rated smartwatches are specially designed to resist occasional water exposure but are not made for water activities. If you want to know the difference between water-resistant and waterproof smartwatch, scroll at the end of this post where you can read the detailed explanation. Most high-end smartwatches these days either have an IP67 or IP68 rating. But what does that even mean? IP rating stands for Ingress Protection rating or International Protection marking depending on who you ask. It defines a level of protection a device offers against solids and liquids. The IP rating is followed by two numbers. 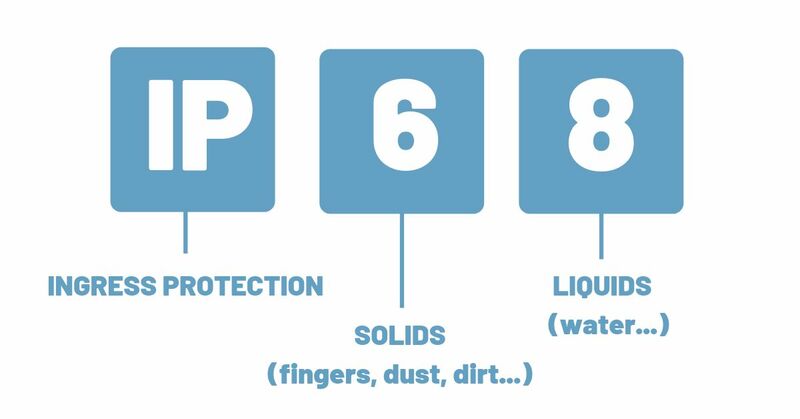 The first number indicates the level of protection against solid objects (fingers, dust, dirt…) and ranges from 1 to 6. The second number stands for protection against liquids (water). In other words, this number tells you how much water the device can handle without suffering damage. The range is from 1 to 8. The Ticwatch E is a proof that really good smartwatch doesn’t have to mean expensive. Never heard of them? Mobvoi is a relatively new and small brand to the smartwatch community, but with the Ticwatch E, they impressed us. It is not a just great device for its price, but it can also without problems compete with far more expensive smartwatches. 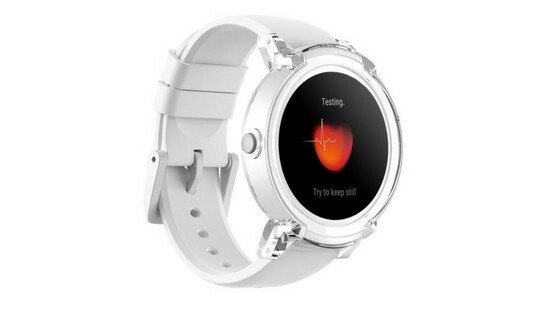 You get the full Android Wear 2.0 experience, all of the fitness features you would expect, accurate heart sensor, built-in GPS, e-compass, and much more. The battery life is even more impressive then price and the design… Ok, the design is not for everyone. You get a very straightforward plastic build, but it doesn’t feel cheap. However, the true highlight here is the low price, it makes from Ticwatch E one of the best budget smartwatches on the market. Fitbit is one of the biggest brands in fitness technology, but a complete newbie in a smartwatch market. Until late 2017. In the last months of 2017, the company released its sport-related model Ionic… And it wasn´t the device many expected it to be. 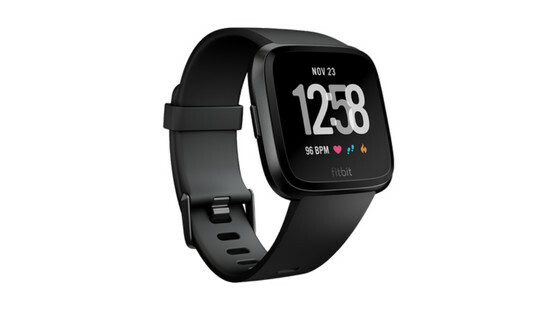 The company´s second attempt, Fitbit Versa, is definitely an improvement over its predecessor. It looks better, fits better, and its much cheaper. The Versa offers the most important features of Ionic, but to get the price down, the manufacturer had to make few sacrifices. So, this model is missing GPS, the battery life is not the best (still impressive 3-4 days), and also the design doesn´t have a premium feel, but still… Versa is one of the more affordable smartwatches on the market and a device that can make Fitbit proud. A classy, minimalistic smartwatch. Nokia Steel HR. A hybrid smartwatch that hasn´t full touchscreen display as a standard smartwatch, but offers important smart function and does swim tracking. 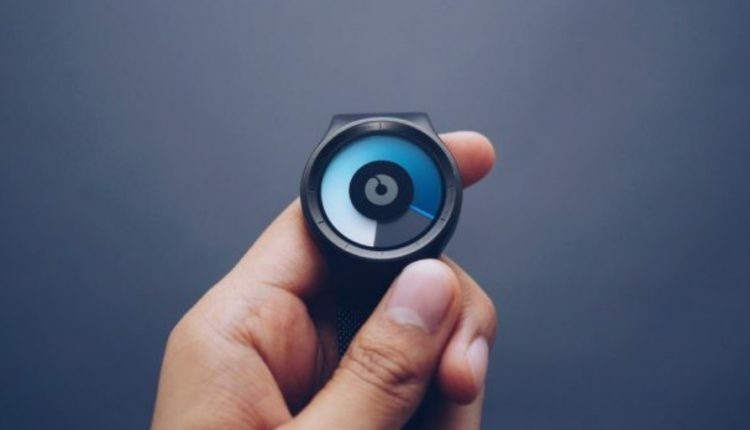 You will get notifications via a tiny circular OLED screen in the middle of the watch, which wakes up when a call, text message or calendar notification has arrived. The same screen can show you steps, heart rate and more at the touch of a button. Yes, the Nokia Steel HR automatically recognizes and tracks the number of activities, like when you walk, run, swim, and sleep. If you’re looking for an attractive waterproof hybrid watch for men with excellent fitness tracking abilities, the Nokia Steel HR is a perfect choice. Usually, Misfit makes activity trackers or hybrid watches. This time, the company tries their luck and developed a fully-featured smartwatch – Vapor. 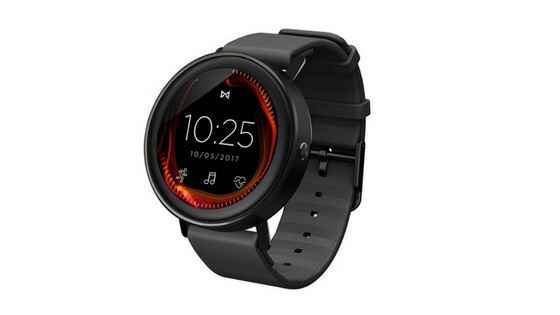 Misfit Vapor is a comfortable and minimal smartwatch, with large, bright AMOLED display and an elegant case. This device is designed by experts with accurate data tracking, so you can expect pretty good results from this watch. 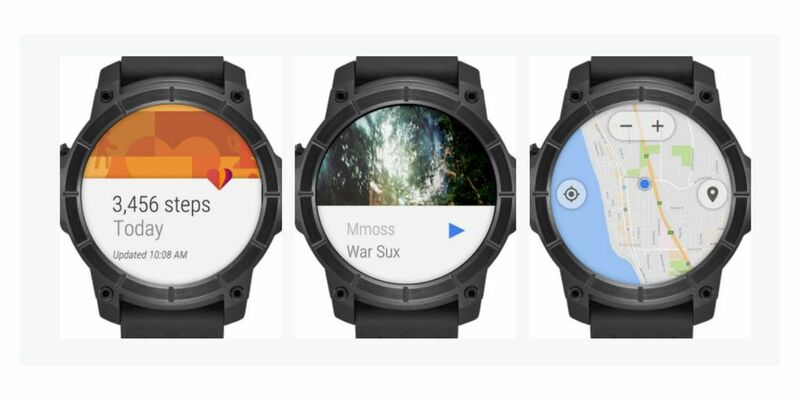 Add to it usual features of any other Android Wear 2.0, plus a good price and you´ve got an ideal balance of an affordable waterproof Android smartwatch and an activity tracker. The Samsung Gear Sport is expensive but it is fantastic looking smartwatch packed full of the latest technology. Despite its name, this device isn´t designed only for fitness. It´s trying to balance regular and fitness features and also has a good battery life too. The Gear Sport is smaller, thinner and lighter than more known Gear S3, which makes it easier to wear. If you are looking for a wearable that looks like a normal watch, the Gear Sport is a great choice. 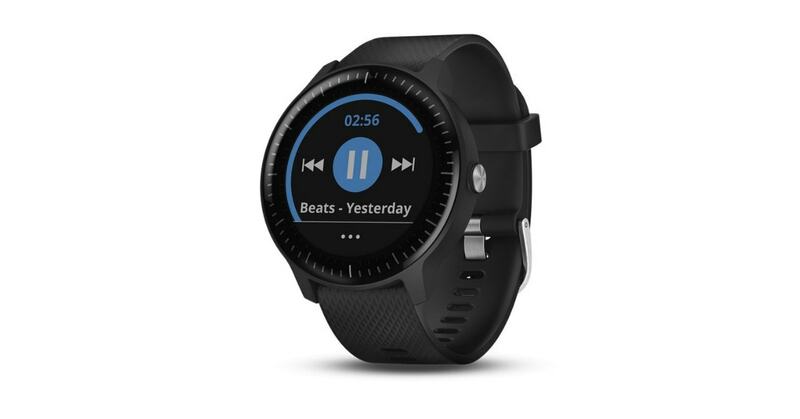 The latest sports watch from one of the best fitness technology brand bring us back the Vivoactive 3 and boost it with a music feature, letting you play your favorite songs from the watch instead of the phone. The Vivoactive 3 Music is all about sport. It comes preloaded with indoor sports apps, including running, swimming, yoga and more. Like its predecessors, it delivers a fantastic performance in the swim tracking department what makes it one of the best smartwatches for swimming out there. In addition to all of this, you also get a very good functional GPS. If you want something that is more sports watch/smartwatch hybrid, then the Vivoactive 3 Music is the one for you. An interesting balance of sport and smart functions. 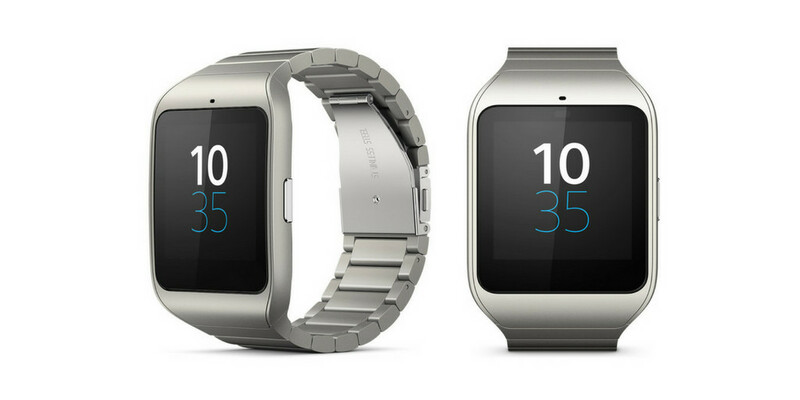 The SWR50 SmartWatch 3 is a subtle, extremely well made, and very functional product from Sony. Great for offering quick glance notification from a smartphone with Android system, and as the bonus, you get a waterproof feature – can withstand up to 30 minutes submerged in the water depth of 2 meters. 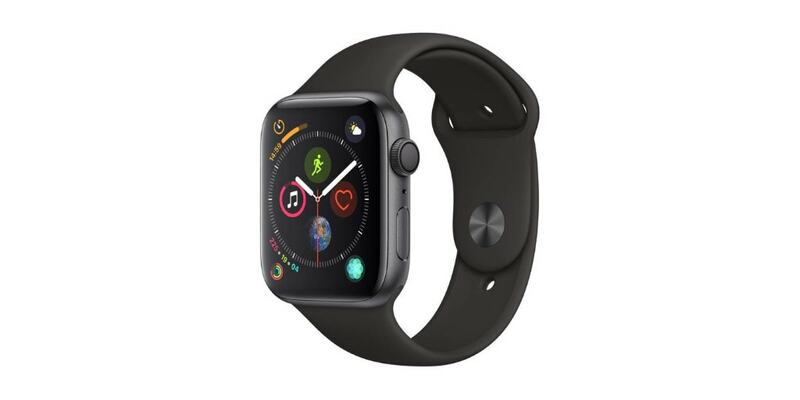 The Apple Watch Series 3 is not only a brand new member of the smartwatch family but probably the best smartwatch money can buy. Almost the same design as its predecessor which brought GPS and swim-tracking into Apple Watch, but with one awesome feature – 4G connectivity. This means, you can use your watch independent from your paired iPhone, and always be connected wherever you will reach the network coverage. Being able to access the internet without an iPhone is a nice step forward, but for those who don´t like this change, Apple also offers a Series 3 with just GPS and no cellular connection. 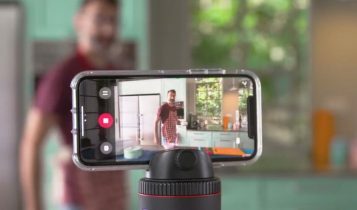 The non-LTE version (lot cheaper) has all the smart features of Series 2 (and almost same frame), but offers a longer battery life and faster speed when using the apps. Of course, Apple Watch 3 is water-resistant (IPX7), so you can carefree swim with it. Why do we think that Nixon Mission is currently the best-rugged smartwatch with Android and our runner-up pick on this top 10 list? 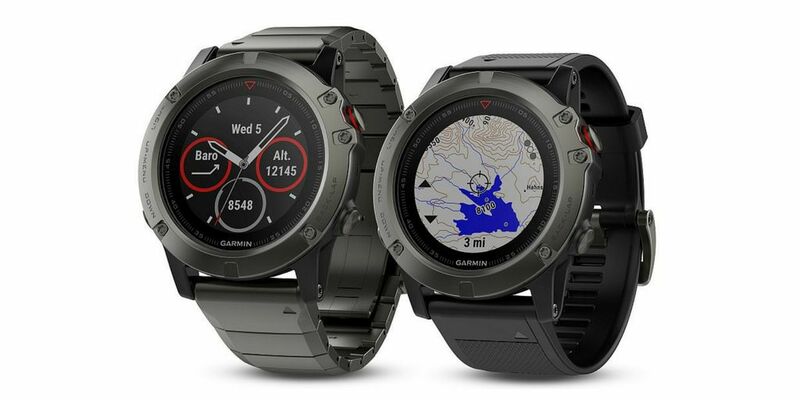 100-meter water-resistance, Corning Gorilla Glass, shock resistance, stainless steel bezel, rugged design, and accurate built-in GPS tracking – an almost ideal smartwatch for outdoor activities. Specially designed for activities such as snowboarding or surfing, the Mission by Nixon is equipped with Surfline app to monitor ocean and mountain conditions. At a first glance, the Casio WSD-F10 looks like the classic rugged G-Shock watches for which the company is known. The WSD-F10 runs Android Wear 2.0 and combine retro and modern into a model aimed at bikers, hikers, and fishermen. The main problem is that this is a small niche category product. If you are the targeted audience, you will enjoy plenty of useful features. For others, Casio WSD-F10 has a short battery life, no GPS or heart rate, and bulky design. These are huge disadvantages for an outdoor smartwatch at this price level. The best Apple Watch money can buy. Yes, the newest addition to Apple´s ecosystem is close to perfection. If you are expecting a few minor changes, you are sooo wrong. 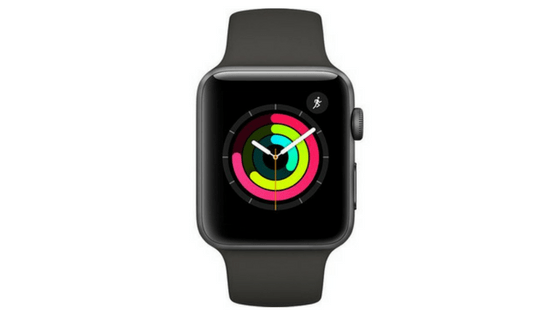 Series 4 comes with a new lightweight design, bigger display (40mm and 44mm sizes), louder speakers and ECG feature. Apple´s latest watch has all the core tracking features as the Series 3, including built-in GPS and water resistance up to 50m. The most exciting is including an ECG monitor which provides a serious heart health monitoring. What´s more, the feature is FDA cleared, so you can use it to detect rhythm irregularities of your heart (the US only). For us, the Apple Watch 4 is the best waterproof smartwatch of 2019, even with the high price. 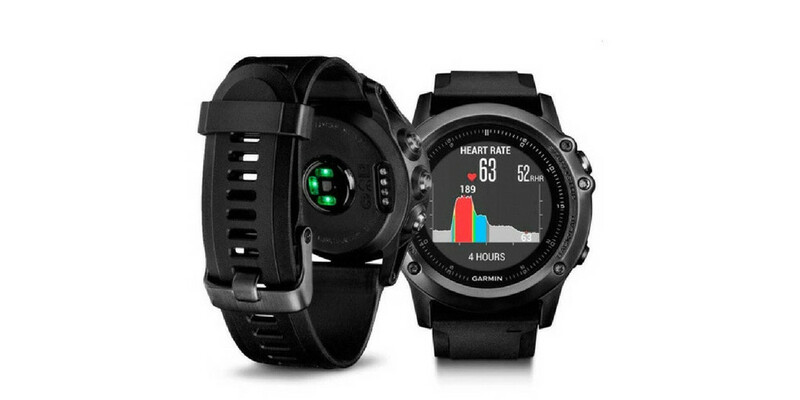 Garmin Fenix 3 HR is reliable rugged smartwatch full of latest equipment that will deliver the most accurate results back to you. Do you want more? Amazing battery life, plenty of relevant data, and the amount of apps within the Connect IQ marketplace is huge and will get better. If you want to have a beast on your wrist and a cool smartwatch then you can’t go wrong with the Garmin Fenix 3 HR. 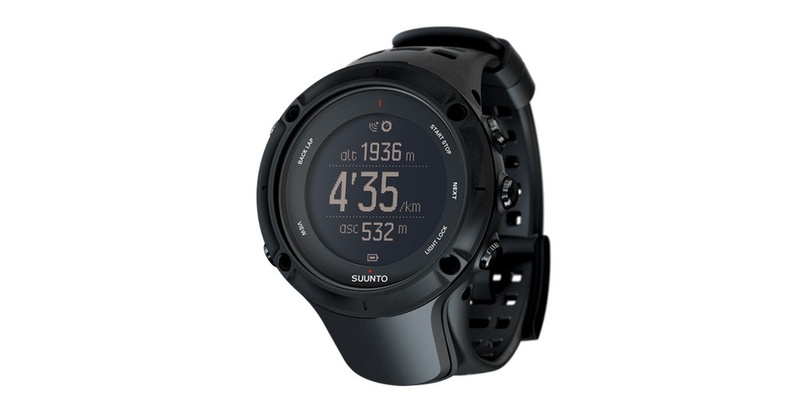 Suunto Ambit3 Peak is not a perfect device, but its above average. It is a hit into the target and perhaps best altimeter watch for you if you are an outdoor fanatic. It has a fair price, provides great accuracy, and features many other features that any outdoor enthusiast would appreciate. The newest model of Casio Smart Outdoor Watch line is an expensive device full of awesome feature for outdoor activities. It runs Android Wear 2.0, so you can easily download and run apps straight from the device. 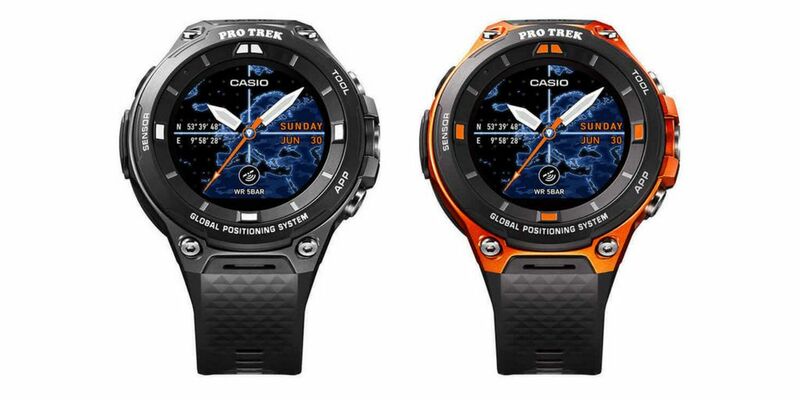 Casio Pro Trek WSD-F20 has an accurate built-in GPS, altimeter/barometer/compass sensors, vibration alerts, monochrome LCD display, the dual-layer TFT color, and microphone. 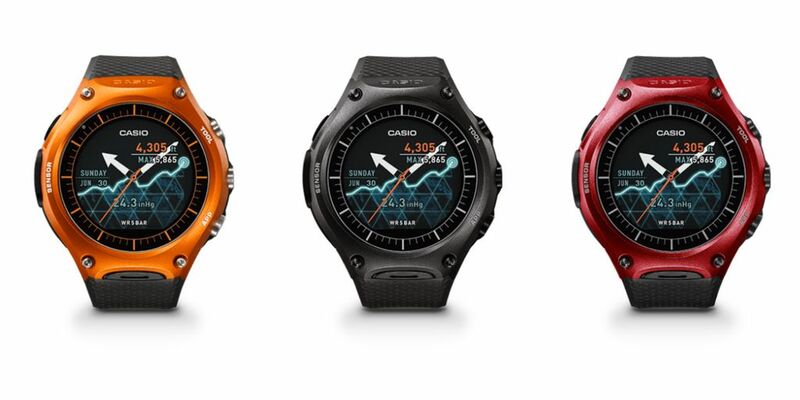 The latest version of Garmin Fenix series, 5X is truly one of the most powerful fitness wearables on the market, and perhaps the best GPS running smartwatch of 2019. And its benefits expanding this niche. It is water-resistant up to 100 meters, has a scratch-resistant sapphire lens, a PVD-coated stainless steel bezel and buttons on the side for better navigation in the menus. As we said before, the advanced GPS and fitness tracking features are not aiming for casual users, the Fenix 5X Sapphire is a cool diving smartwatch that will truly enjoy serious outdoor athletes and adventurers. A smartwatch, generally speaking, is a portable computer strapped on your wrist. 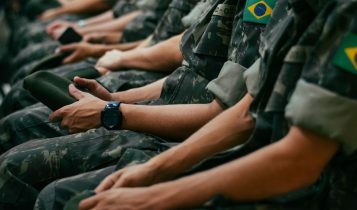 Like smartphones, these devices have a touchscreen, apps support, and most of them also monitor heart rate and other fitness functions. 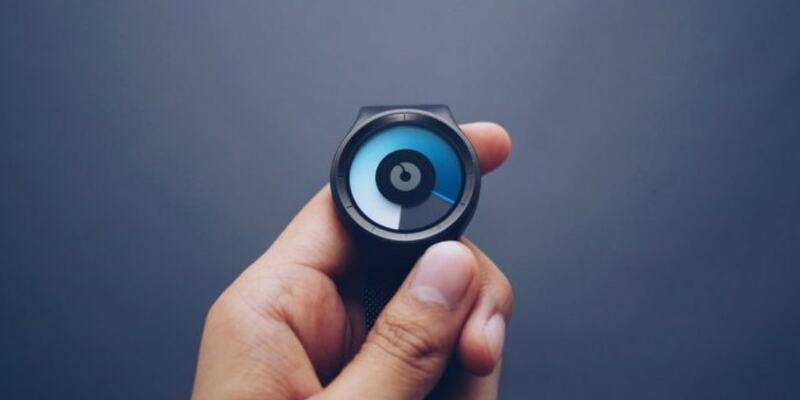 Read more about what can smartwatches do. Waterproof is just a marketing term and should not be taken literally. Watches are water resistant to a certain depth at which they are tested, but not ever waterproof under all possible conditions. Some watches may be tested to such extremes that for all practical applications they should never get water in them (assuming they have never been opened), but the only correct term is “water resistant”. Water Resistant 3 ATM or 30m – Suitable for everyday use. Splash/rain resistant. NOT suitable for showering, bathing, swimming, snorkeling, water related work, and fishing. NOT suitable for diving. Water Resistant 5 ATM or 50m – Suitable for swimming, white water rafting, non-snorkeling water related work, and fishing. NOT suitable for diving. 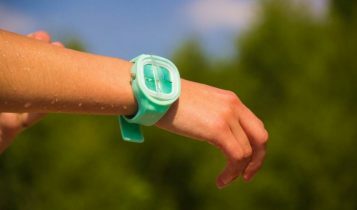 Water Resistant 10 ATM or 100m – Suitable for recreational surfing, swimming, snorkeling, sailing and water sports. NOT suitable for diving. Water Resistant 20 ATM or 200m – Suitable for professional marine activity, serious surface water sports and skin diving. Suitable for skin diving. Diver’s 100m – Minimum ISO standard (ISO 6425) for scuba diving at depths NOT suitable for saturation diving. Diver’s 100 m and 150 m watches are generally old(er) watches. Diver’s 200m or 300m – Suitable for scuba diving at depths NOT suitable for saturation diving. Typical ratings for contemporary diver’s watches. Diver’s 300m+ for mixed-gas diving – Suitable for saturation diving (helium enriched environment). Watches designed for mixed-gas diving will have the DIVER’S WATCH L M FOR MIXED-GAS DIVING additional marking to point this out.